Or something like it is happening right here, right now. Which is great, because LIFE! I’m not complaining only that I’m not expecting much from my posts this month. Anything is better than it was and for now, as my first post for NaBlo, this’ll have to do. This evening, instead of writing a post I played with words in a different way. I think I enjoyed it more than my husband as my letters were kinder to me – and I managed to score 304. I’m tired, but in a good way. In a way that life is ticking on and I’m busy with work, life and hobbies. So this is an excuse post. The type of post you post when you’re not typing a post and blabbing on about nothing so you can say you posted a post. I don’t even know if that makes sense. What I do know is, this’ll do for Day 16 of Nano Poblano. Unfortunately, tomorrow is looking pretty jam-packed, so who knows what excuse post I’m going to write tomorrow. Trying to post every day in November. Go team! 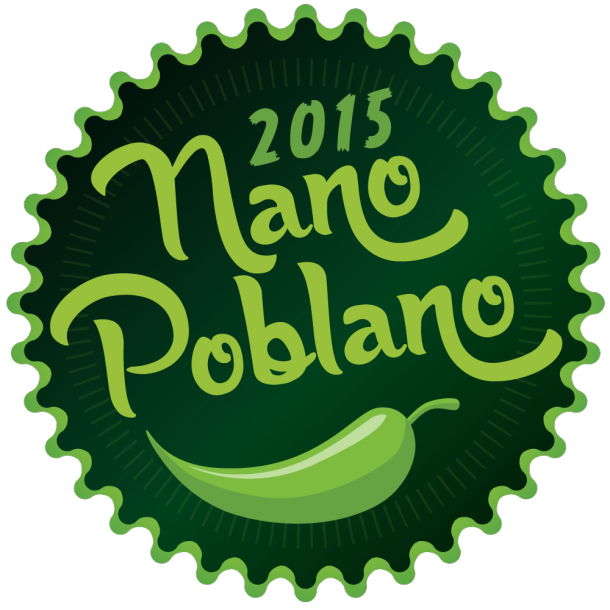 It’s Day 25 of Nano Poblano (Ra’s version of NaBloPoMo) and I’ve drawn a blank. Fortunately Ra kindly left a prompt page for such occasions. Although they are list-prompts, I aimed to find one that inspired a non-list post. I did drama at school and frequently joined school productions. I always felt safer playing someone else. I wonder sometimes, if I’d still remember. If someone read me a line, I would remember the next? This is an excerpt, but I learnt the whole poem off by heart. Poetry played a huge part in my life at the time I decided to commit this to memory. The film, Dead Poets’ Society aided this – the main character reciting these very lines. I studied piano as a child. It could not be said I was good, but I was diligent. Being as slow at reading sheet music as I was with the written word, I survived by memorising it. I called it hand-memory. Through dogged repetition, I remembered where my hands had to be to play the relevant notes. Of course, any mistakes would break the memory, I’d lose my place in the music and I’d panic beyond recovery. I still remember many of them, but I don’t practise much these day and my hands forget. I’d describe the study of language here in Australia as lazy. My school experience isn’t perhaps the best example, but without commitment, the best you’ll come away with is the ability to count to ten in French, Japanese and German with ‘hello’ and ‘goodbye’ and ‘my name is …’ thrown into the equation. I still remember most of this. Day 25 of Nano Poblano! That is, Ra’s version of NaBloPoMo. We’re posting everyday in the month of November! When I say ‘we’ I mean these awesome folk. I was always good at Playing the Game. That’s what my mother called it. The art of moving among people, saying what needed to be said without being angry or offensive. I internalised emotions. I diffused situations with humour. I remained silent if necessary. I recognised this at an early age. I noticed some classmates lacked it. My own brother lacked it. Although he was older than me, there were times I came to his defence. Ever the diplomat, me. One of my favourite of Aesop ‘s fables was The Oak and the Reeds. It’s not as well known as some of them, but it resonated with me. The tale of the old tree than grew with the reeds beside the river. The tree was proud of its strength and size but a great gust of wind tore up the oak from the ground. The reeds explain the moral of the story. And this is how I played the game. I stuck to my opinions when they truly mattered and let everything else go. I decided who I respected and who I didn’t – and as to the latter – if I didn’t respect you, why would I about care what you said or thought? I was so lucky to believe this. To believe this so strongly I left school without enemies and a small group of friends who stood with me. Though, we are never unbroken. My insecurities lie in my capabilities. My ability to write, for one. I suffer from anxiety and have developed a habit of surpressing how I feel. Sometimes, I surpress too much. As an adult looking back, those who ‘broke’ me were adults and/or people I respected. But the beauty of being an adult is when looking back you realise we are all victims of our lives. We all (mostly) do not intend to sabotage the lives of others but do what we think is best at the time. Then to compound this there are personalities and how two people can take the same experience and interpret it a very different way. Of course, bullies do intend to sabotage lives, they’ll probably never realise how much. They’ll probably never realise how broken they are themselves. I was bullied at school but I was always lucky to be a reed. So, I’ve just come from Ra, and she wrote this. It’s a whole heap of awesome, but this clip triggered these memories. Day 24 of Nano Poblano! That is, Ra’s version of NaBloPoMo. I started writing poetry before I wrote it down. They were songs without music that I’d made up and they were relevant to me. I didn’t know it was poetry until school gave it a name. My writing began with poetry – but you woudn’t know it here. In hindsight, I see now that poetry was the coping mechanism of my youth. It helped me process heartache and conflicts within myself and sometimes within the world. As I began to feel more conrol over my life, poetry writing dwindled. Ideas struggle to be polished. Come like the rain and never go. Go the like the rain and never come. I was nineteen. Beside this poem in my scrap book, I wrote ‘Is this even a poem? I don’t even know what it means.’ I wrote two poems after it and nothing since. Well, nothing finished. Eventually I realised, I was perhaps mourning the loss of something I no longer needed. However, some of my favourite poems I wrote in those last few years. Like this one. At the entrance of a tunnel. Day 23 of Nano Poblano! That is, Ra’s version of NaBloPoMo. A thought has lingered for a day now. I suspect I will not be rid of it until I write it down, but at the same time, turning these words over won’t make anything other than compost. As I try to keep up with the wondrous blog posts coming from Nano Poblano (Ra’s version of NaBloPoMo). I read this one by Janelle Weibz. I realised, it wasn’t something I wanted to hear. I started questioning everything. Is the only reason I love is because I know hate? Now to make another television series analogy, remember Stargate SG1? And if you remember this, perhaps you remember The Nox? They were my vision of humanity’s future. A peace loving, kind, anti-war sort of folk. You know, when the human race is ‘older’, maybe we’ll learn from our mistakes, maybe we’ll be these things. Perhaps my hope for humanity’s future, is empathy – seeing things from the perspectives of others. Having a broad view. I still believe in kindness and I hope I didn’t need to see cruelty to know it. Day 20 of Nano Poblano! That is, Ra’s version of NaBloPoMo.